The right shoe can help keep your feet healthy, prevent injury and therefore keep you active and happy. 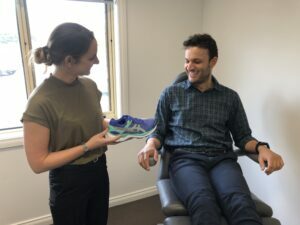 Whether your choice of activity includes walking, running, jumping, or weight lifting, a supportive and appropriate shoe is so important when it comes to injury prevention and maximising energy efficiency. 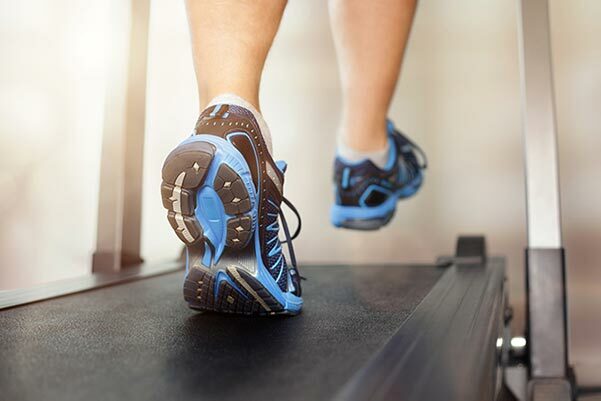 Poor or improper footwear can significantly increase your risk of injury and therefore lead to time spent off sport or physical activity and severely affect a person’s quality of life. Common sports injuries which can be associated with poor footwear choice include shin splints, heel or Achilles pain, and stress fractures. have a tougher midsole and a higher heel drop in comparison to a cross trainer which is often a little more flexible in the midsole to allow for more multi-directional movement. and there are different styles of shoes that will help accommodate this. ● Fit – Make sure you have approximately 1-1.5cm at the end of your shoe (about your thumb width), and wide enough in the forefoot so your outer toes will not rub against the upper of the shoe. You want the shoe to feel snug but not restrictive or tight! ● Comfortable – This is of utmost importance! Your runner should feel comfortable from the first instance you try it on! Don’t be afraid to try on a few different styles in the shoe store. All shoes do have a lifespan! Even though your shoe may still look alive and well, it is possible that the material that makes up the midsole of the shoe (important for shock absorption and aiding alignment) has compressed and no longer efficient. As a general guide, an athletic shoe should last you approximately 500-750kms however every shoe and runner receives loads differently, depending on factors like running style, training surfaces and body weight. your feet and legs increases dramatically. If you don’t know what type of shoe you should be wearing the best option is to visit a specialist shoe store where they can watch the way you walk or run and suggest the best shoe type for you. In Geelong you can have this done at The Running Company or Athlete’s Foot. Depending on your foot type or if you are experiencing pain, some people may need extra support within their shoes which can include foot orthotics, padding or heel cups. 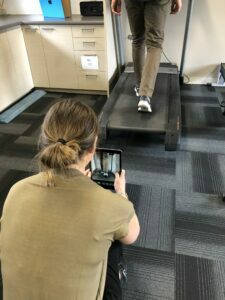 A podiatrist is able to assess you and analyse your walking patterns and educate you on the different management options available to you.